SANTA CLARA – Citing the economic boon they feel an 83-acre resort-style development will be for the community, the Santa Clara City Council, by majority vote during a special meeting Wednesday, approved a zone change allowing a resort development to move forward in the South Hills area. Located on the south end of Gates Lane and on the south side of Clary Hills Drive and extending upslope and to the south, the development is slated to include over 450 short-term rental residential units. Intended to take advantage of the mountain biking and general outdoor sports mecca that southwest Utah, and more particularly the South Hills area, has become, proposed resort amenities include cycling and walking paths, a restaurant and a mountain biking pro shop where guests, as well as the public, may rent mountain bikes and have their bikes repaired. Members of the City Council said the development hope to capture dollars for Santa Clara and not lose them to St. George where a plethora of food and lodging options already exist. “Have the money come to Santa Clara, not St. George,” Councilwoman Mary Jo Hafen said. Bringing in the resort development, which is set to be built in eight phases over the next 15 to 20 years, will provide the city with a much needed economic boost, Councilman Herb Basso said. The first phase of the project will not involve the hundreds of short-term rental units, but rather 21 residential dwelling units built in the craftsman style. These units will be operated in a bed and breakfast fashion, representatives of the Split Rock Development Group said. Phases two through eight will include the vacation rentals. Santa Clara has a goal of ultimately morphing part of its downtown – the area along Santa Clara Drive – into a commercial area, said Rex Oliver, chair of the city’s Economic Development Commission. The commission envisions homes along the city’s main street being lined with businesses based out of the various homes there. While there are some businesses here and there, it is anticipated by city officials that the draw of the South Hills area resort will bring in enough tourism to support a downtown business district. Members of the City Council also said the development will help the city overall by providing much needed tax revenue. Santa Clara gains much of its tax base from property taxes. Businesses brought in by the resort development would bring in sales tax revenues that could help keep current property tax rates from going up, members of the council said. 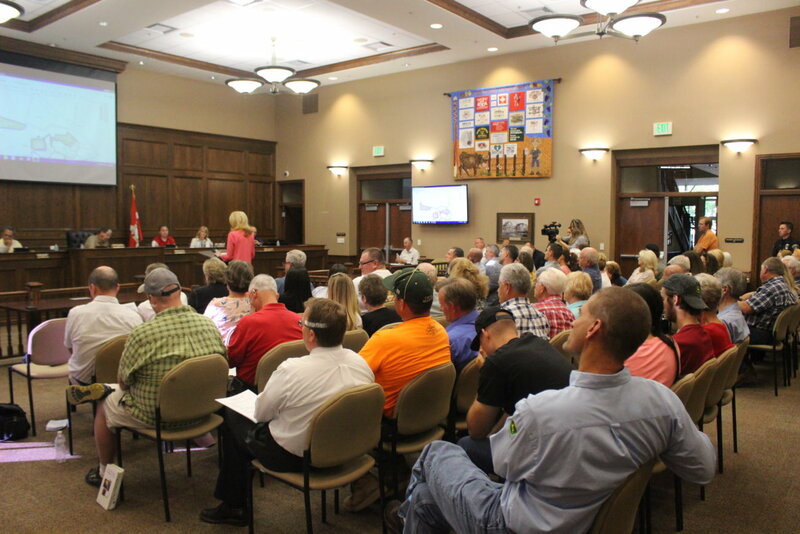 Though there was no public hearing scheduled at the council meeting, Mayor Rick Rosenberg allowed many of those gathered in the packed council chambers to speak after filling out a request to do so early on. 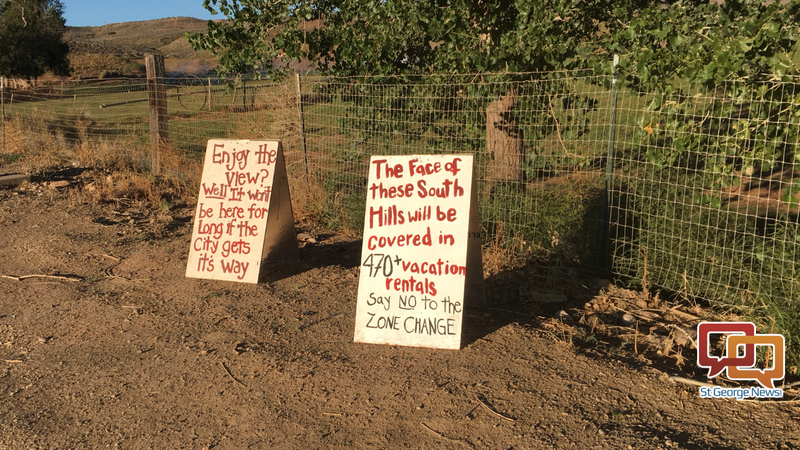 Numerous residents who currently reside near the future resort and its many short-term rentals spoke in opposition to the zone change. “No one wants vacation rentals,” resident Denise Webster said while presenting the council with a petition 500-signatures strong against the zone change. If she had known a resort with over 450 short-term rentals was going to be built near where she built her own home, Webster said, she would have gone elsewhere. Objections to the resort’s short-term rentals related to worries over increased traffic and safety. The character of individuals who would be using the rentals was also questioned as concerns over possible criminal activity were mentioned. The renters, the residents said, will just take advantage of the area and be nowhere as invested in the community as longtime residents are. Residents also expressed worries that the development will forever change the small town feel Santa Clara currently enjoys. “You will lose the charm of Santa Clara,” one man said. “This is going the change our community forever,” Webster said. Suggestions were made for the council to table the zone change or even put it to a public vote. “This is a difficult decision and not one I’ve taken lightly,” Councilman Jarett Waite said. However, he also said he sees the downtown going downhill if the resort project is shot down. Still, Waite mentioned other vacation rental developments in Santa Clara that are already operating or underway. Just how many should be allowed in the city? “We’re basically becoming a hospitality town,” Waite said. He went on to echo the sentiment that the development could be an economic bonus for the city in the form of employment opportunities, new tax revenue and even investment opportunities for residents who buy rental units. The zone change ultimately passed 4-1 with Councilman Kenneth Sizemore being the dissenting vote. Sizemore said he isn’t very comfortable with allowing so much land being used with a single purpose, particularly since it was one of the last major areas of undeveloped land left in the city. The South Hills project has been in the works to the last 18 months with the developers revising their plans for the area based on resident input. Initially the developers wanted to put 112 condo units at the south end of Gates Lane that would be used a vacation rentals. Since then the developers dropped the 112 units in favor of the 21 residential-style units while also not including vacation rentals in the first phase of the project. “Have the money come to Santa Clara ….”. With dollar signs in their eyes, they voted to fundamentally transform the town. Residents will now pay the ‘tax’ imposed by such small-mindedness. Santa Clara, you had a really nice thing going, a truly unique place in America, and instead of enjoying your oasis you voted to become just like St George. The grandchildren and great-grandchildren of these council members will curse their names. Ha ha you gotta pay. ! holger and walter1 are not tasked with balancing a city budget with almost zero commercial base. 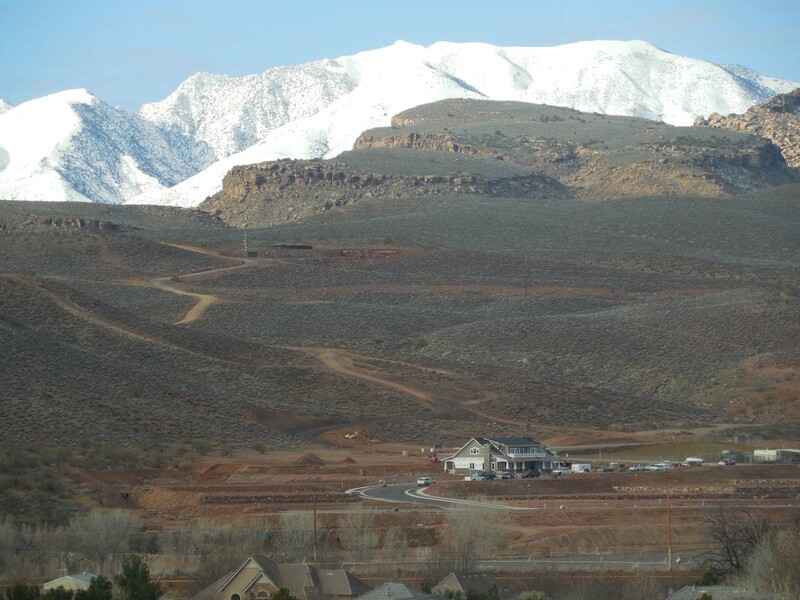 As Santa Clara grows it will either need to grow it’s commercial tax base or become part of St. George city. The numbers just don’t work if your citizens keep spending their money in another city and depriving Santa Clara of tax revenues. The Mayor has potholes to fill and it takes actual money to do that. I was at the original meetings 3-4 years ago where the planning folks had hired an outside consultant that advised the city to alter zoning in the downtown area to spur growth. Well, I don’t have the stats, but that effort, a good move for sure, resulted in little change, based on my observations. Please note I was the only citizen there. Also lets note that some council members, cleary state this new development will spur growth and actually increase tax revenues etc . Is that analysis based on seat of the pants common sense? Is that statement or analysis based on a report provided by the developer ? Or was there a qualified analysis provided by a third party? If there isn’t then what is missing here are opportunity costs. The answer would be this is a c**p shoot. Who’s to say that these renters and outside vacationers will spend their money in Santa Clara and simply drive into Saint George like many of us do? I have always thought the answer was to create a synergy in the downtown area. The Granery and market, great businesses, are simply not enough. On the other side of the equation, people hate change. The city desperately needs to develop more revenue streams. Harmon’s is a great example . Not only does Harmons provide jobs and taxes, it enhances the quality of life and brings elements of the community together. Now that’s a win win. I will make a stupid prediction, out of the blue. The development will make the developer rich. The development won’t change the overall culture. And after all is said and done, it will be revenue neutral based on opportunity costs. You know we have lots of great musicians in Washington County with nowhere to play. There’s a few venues but they specialize in one kind of music . Now something like that in the downtown area would definitely help create a synergy and WORK. Oops . No alcohol. Well that kills it. And so they all go to St George. Hmmmmmm. Ever thought about that angle? Well, I do believe you can have a nice bottle of Chardonnay at the Granary. Well good luck. No turning back now . Sizemore is right . are able too abide with the required liability requirements, something air bnb or ksl.com does not. Many homeowners in the entire Saint George area purchased homes in single residents neighborhoods and you get homeowners from out of town doing long term and short term rentals and then to top it off, they will rent out multiple rooms on air bnb and the owner is from out of town, I know the zone enforcement is really trying to do something about this, but we could really use some higher leadership in this city to make the fines for doing short term rentals really substantial, I am talking a minimum of 1200.00 per listed advertisement turned in for evidence. I know no one will read this or even care but honestly, If we had been made aware of this huge project (funny how our Realtors didn’t disclose this?) almost 2 years ago, we probably wouldn’t have purchased a home here. We left Southern California to escape this type of thing and we longed for the “small town” feel. Small town governments always grow faster than rural towns do and then it just becomes a matter of money and more money to keep the city government afloat as they keep expanding to increase their revenue. We think this is a shame. The traffic alone is going to kill us in what was once our cute little downtown. Old 91 is going to return back to a real highway and none of this is going to stop people from going to St. George anyway. I cant believe the council really thinks Bicycle riders and walkers is going to prop up their expenses. The more people you bring in, the more money you need to support them, it’s a vicious cycle. Hate to say it as much as we love our town of Santa Clara, but we will have no problem selling our home here (probably to some part time resident) and moving again. Bummer. Think I’ll grab a beer. Well Mike, I read it and I care. It’s a shame, Santa Clara has voted to try and become Southern California. The council members simply don’t understand what a jewel they have and are willing to sell it off to the highest bidder, which then kills it. They all think they’re gonna get rich.